Millets today seems to be the magic word for the health freaks. Actually, millets were consumed in large quantities during years gone back. Now they have made a comeback for their highly nutritious content. Millets are small seeds from a grass family of shrubs. They are categorized as cereals or grains. 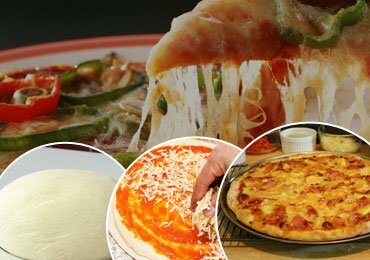 Their nutrition content is supposed to be highly superior to rice and wheat with respect to proteins, vitamins, and minerals. Therefore, we must know the benefits of including millets in our diet. Millets are known to have originated in North Africa in Ethiopia. It was the staple food of many homes there during the prehistoric times. It is also known to be consumed as a staple diet in India. Before corn and potatoes became popular millets were consumed in Europe. In the 19th century, Setaria millet was introduced in the USA. It was used more as a bird and livestock feed in Europe and North America. 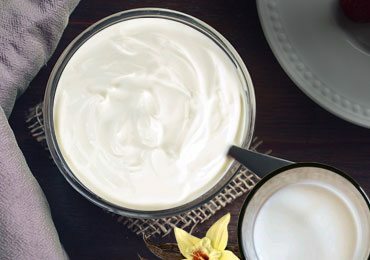 After its delicious taste and nutrition content was discovered it became popular in India, China, and Nigeria. As these countries got rich, millets were replaced by rice and wheat. Today bad health conditions of people are driving them to go back to millets. 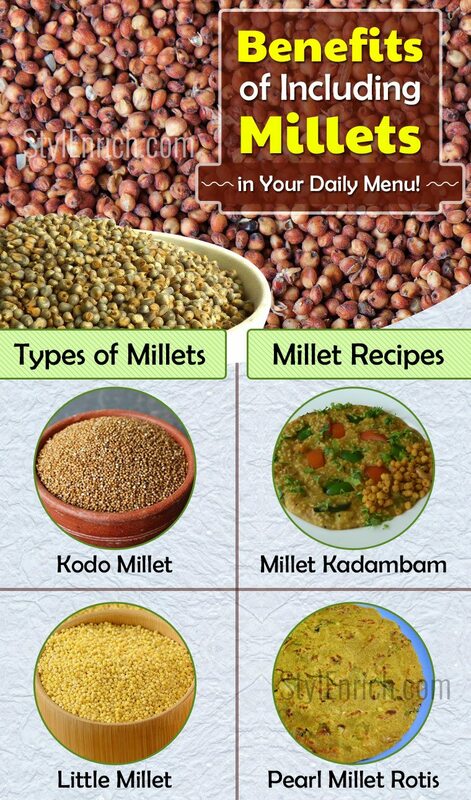 There are various types of millets. They are tiny and round in shape. They could be found in the following colors- grey, white, yellow, red and black. Millets have an abundance of vitamin B, calcium, iron, potassium, copper, manganese, magnesium and zinc. Since millets have their outer cover they are rich in fiber too. Benefits of including millets are they are a good source of starch and protein too. Though the millets available in shops today are hulled they still are high on the nutritional content. The grass of these grains grows up to 15 feet and the grains appear as corn cobs. Millets need less water and hence can be easily grown in dry places. They do not attract much of pests hence there is no requirement of spraying pesticides. 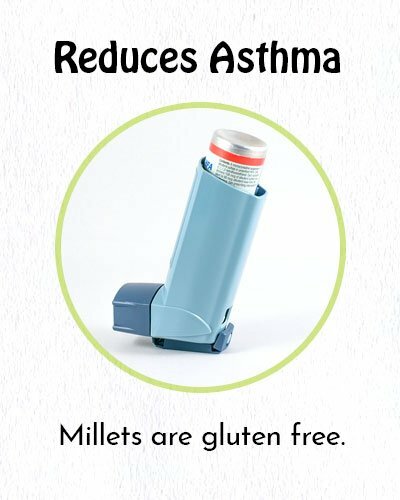 One of the biggest features of millets is that they are gluten-free and hence makes an ideal food for people suffering from celiac disease. The grass of these grains grows up to 15 feet and the grains appear as corn cobs. Millets need less water and hence can be easily grown in dry places. They do not attract much of pests hence there is no requirement of spraying pesticides. One of the biggest features of millets is that they are gluten-free and hence makes an ideal food for people suffering from celiac disease. Click here to discuss the fenugreek seeds benefits for overall health. Some of the popular millets are mentioned below. This is widely grown and consumed in India. 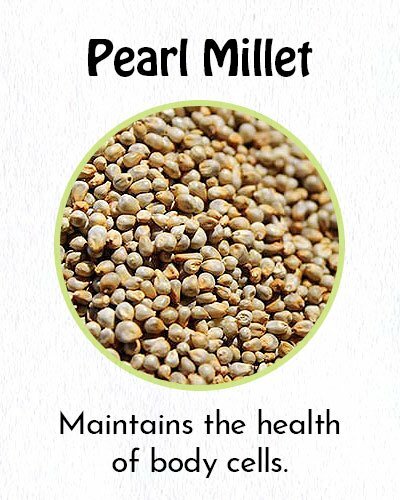 Pearl millet contains the abundance of phosphorus and proteins which aids in maintaining the health of body cells. It is consumed in both in sprouted form or powder form. Flattened bread is made with the powder form while porridge is made with the sprouted form. 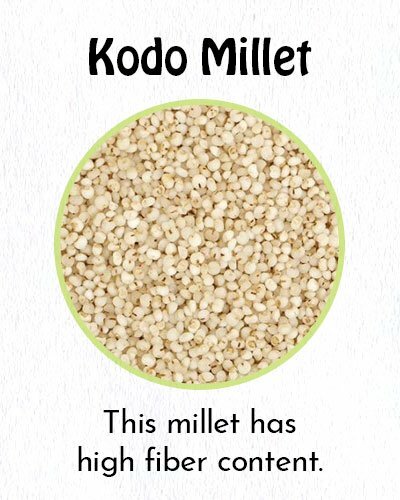 This millet has high fiber content. 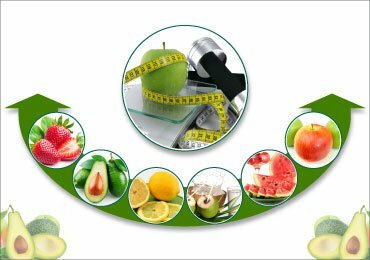 It is an ideal food for diabetics. It contains polyphenols which are antioxidants. It stops glycation and linking of collagens. Being low in fat content it can be substituted for rice. Little millet is smaller in size compared to other millets. It is high in iron content and fiber. 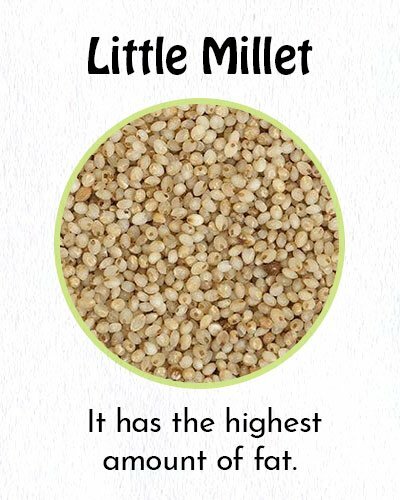 It has the highest amount of fat compared to other millets. It is ideally used in the preparation of bread and South Indian dishes like dosas, idlis etc. 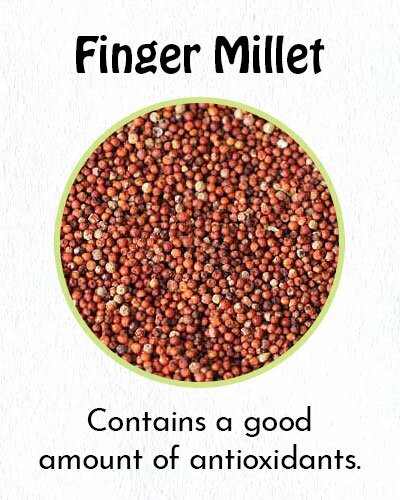 Nearly purplish in color and small in size finger millet is one of the heavily consumed millets in Karnataka. It is supposed to contain a good amount of calcium and is consumed as ragi balls. It also contains a lot of iron and proteins and is high on nutrition content. This is because it contains a good amount of antioxidants and essential amino acids. These millets can be grown easily and are pest free. Hence they don’t need any pesticides while growing them. They are high in mineral content. 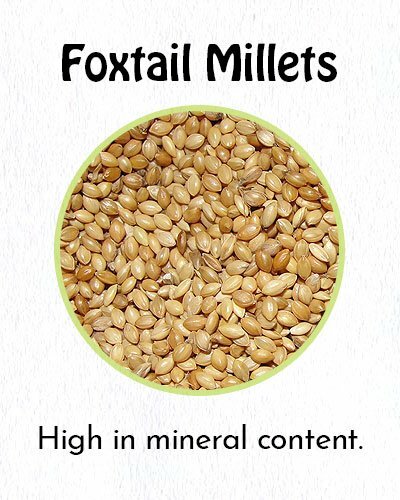 Foxtail millets are the second highest grown and consumed millets in the world. This millet is ideal for diabetics and people suffering from heart ailments. 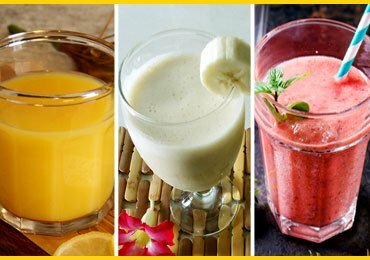 It has a low glycemic index and hence sugar in the body rises slowly when it is consumed. 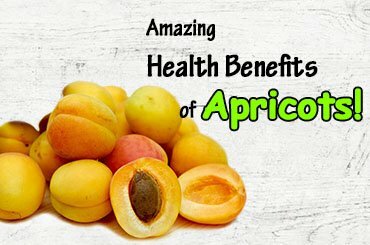 It is high in phosphorus, calcium and fiber content. This grain is used more as a fodder. It is high in calories and contains unsaturated fats, proteins, fiber, and minerals. It contains a number of macronutrients and antioxidants. People consume it in the form of cooked flattened bread or rotis. It provides a good amount of energy when consumed. Some important Benefits of Including Millets are given below. One of the major ingredients of millets is magnesium which helps in protecting the heart which is diseased due to diabetes. 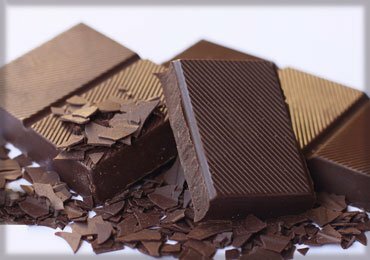 Magnesium helps in reducing blood pressure and risks due to heart attacks. 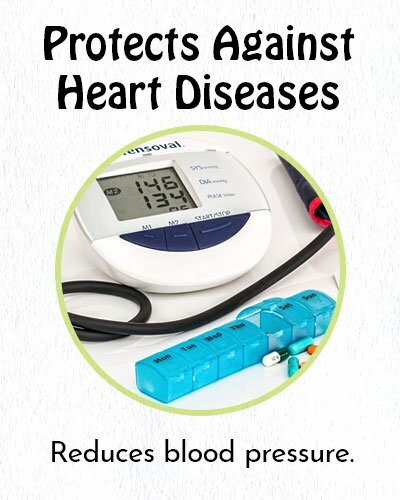 Potassium which is another major components works as a vasodilator and keeps blood pressure low. Magnesium contained in millets acts as a co-factor for a number of enzymes which are involved in the secretion of insulin and glucose receptors. 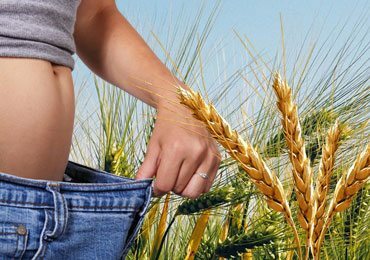 It is found that eating whole grains is beneficial in lowering risks of diabetes. The GI value of millets is lower than rice and wheat. This helps in balancing of blood sugar levels. 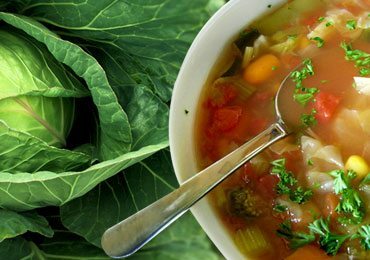 Fiber-rich diets are supposed to keep cancers at bay. With their high fiber content millets make good meal options. This was especially experimented and seen in the case of peri-menopausal women. 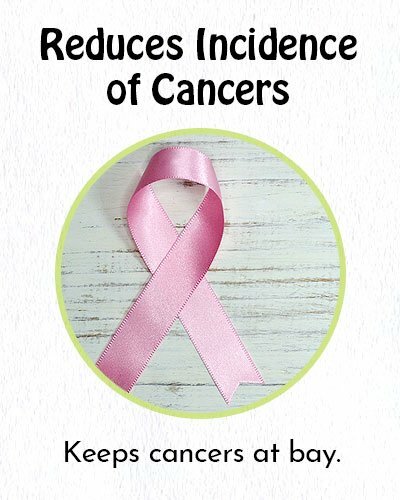 When these women consumed about more than 30 grams per day the chances of having breast cancer was reduced by 50%. When foods high in fiber content are consumed it is found to reduce incidences of stones formation in the Gallbladder. The reason for the same is that when there is more fiber in the food it helps the food to transit through the digestive system faster. This results in lesser secretion of bile juice which is the cause for gallstones formation. 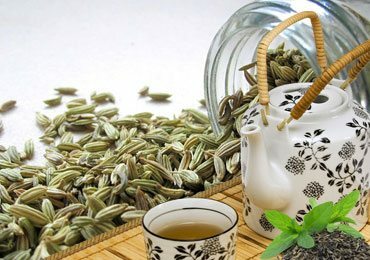 It also helps in raising the insulin sensitivity and lowering of triglycerides in the body. The high fiber content in the millets gets rid of bad cholesterol in the body. Thus good cholesterol levels are maintained in the body. Niacin which is vitamin B3 present in millets helps in lowering of the cholesterol levels. Millets contain all the ingredients for proper metabolism and digestion in the body. 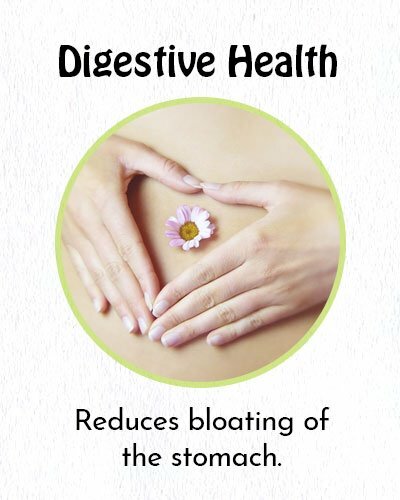 Digestive issues like constipation, flatulence and bloating of the stomach are reduced. 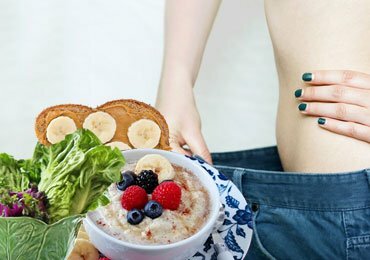 Proper digestion ensures that all the nutrients in the food are absorbed and assimilated by the intestines in the body. Wheat which contains gluten is attributed to childhood Asthma. By consuming millets at an early age this issue can be avoided since millets are gluten-free. Thus allergies are bound to be absent in children consuming millets. Millets can be easily grown in dry places without the need for lots of water like paddy. Hence farmers can grow them on rain-fed water. Many of the millets are also pest-resistant and hence spraying of pesticides can be avoided. Where Do You Shop for Millets? 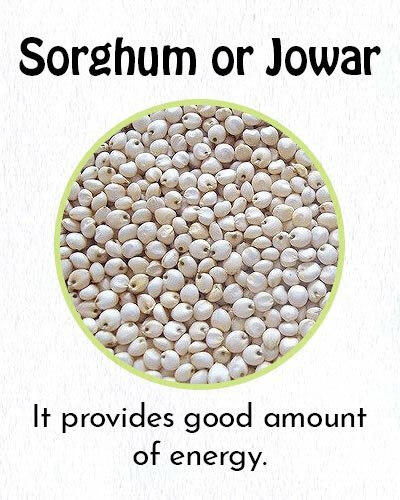 Common millets like finger millets, Jowar, Foxtail millet are available in any grocery stores. 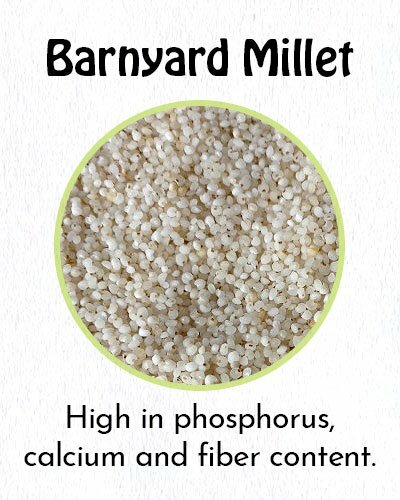 To procure the other varieties of millets you could approach the organic stores or stores which promote healthy food. How Do You Cook Millets? Millets can be cooked like rice is done. It could be cooked in an open vessel or in a cooker. First, wash the millets under running water to remove any dirt or debris from it. If you are cooking it, in an open vessel follow these instructions. Take about 2 ½ measures of water compared to the millets in the vessel and let it boil. When the water starts boiling pour in the millets and closes the vessel lightly with a lid. Check regularly to see if millets are cooked. This is indicated by its texture when it becomes soft and easy to break. If the cooker is used put 1 ½ measures of water with the millet in the cooker vessel. Pressure cook the same until 3 whistles. 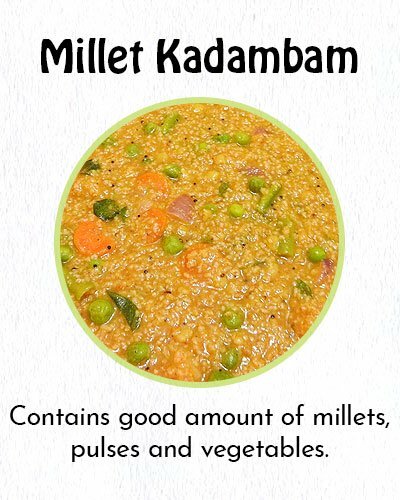 Millets cooked in the above method can be substituted for rice in your daily meals. Kadambam is a kind of sambar rice but different from Bisibelebath. It is the wholesome dish by itself since it contains a good amount of millets, pulses, and vegetables. Cook the millets, tur dal and vegetables in separate vessels in a pressure cooker. Take a big enough vessel and keep on fire. Squeeze all the juice from the tamarind extract and add to the vessel. Pour some more water and squeeze the tamarind for more extract and put it into the vessel. Keep repeating this until the maximum juice is extracted from the tamarind. Keep cooking till the content has become semisolid and most of the water has evaporated. Once done, remove the vessel from fire. Put all the tempering ingredients in a small saucepan and add the oil. Keep it on fire and once the mustard splutters remove it from fire and pour it on the contents of the big vessel. Stir all the contents nicely. Finally, sprinkle the grated dry coconut on the contents. Kadambam millet is ready to be eaten along with some raita or fryums. Want to eat some gluten free rotis? 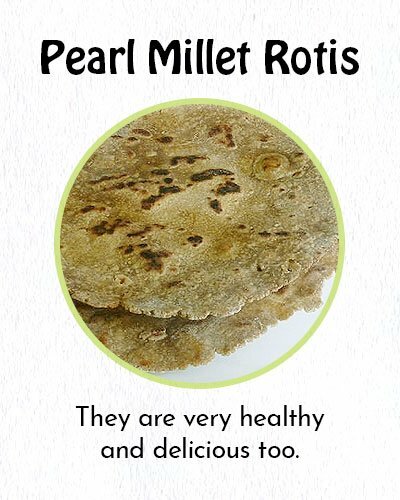 Then you could try making some bajra or pearl millet rotis. They are very healthy and delicious too. Take a heavy bottom Kadai or skillet and fill it with water. Keep it on fire to boil. Add salt to the water. Take the pearl millet flour in a large flat plate of the bowl. Once the water starts boiling, switch off the stove. Now pour the hot water little by little into the flour while you start kneading it. Ensure that the water has cooled a little before you start kneading it. Keep doing this till you get a warm nice ball of flour. Keep it aside for 15 to 20 minutes. Make multiple small balls from this. The size depends upon the size of roti or flatbread you want to make. Take butter paper or plastic sheet and grease it with oil. Keep one of the balls on it. Keep another sheet on this and press hard using an inverted plate. This is one method of doing it. You could also make rotis using the rolling pin method like we make standard wheat chappatis. Once it is done, heat a tawa/ griddle on the fire. When it is warm enough put the rolled out roti on it. Watch for the change in the color of the roti. Turn it upside down and cook the other side. Once done remove from fire and serve along with some vegetable curry or chutney. Dosas are a favorite dish of many. Normally it is made with rice and urad dhal. 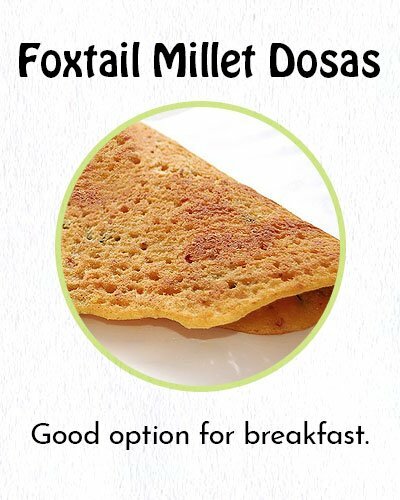 For people who want to lose weight and want to eat healthy foxtail millet, a dosa recipe is a good option for breakfast. Soak the foxtail millet, urad dhal and fenugreek seeds in water for 5 to 6 hours. After that grind the same in a wet grinder or mixie till you get the soft dough. Allow it to ferment for another 6 to 8hours. Make a tawa or griddle and keep it on fire. Take a ladle of the ground dough and smear on the griddle like you make standard dosas. Once it turns reddish in color overturn the dosa and cook the other side. Once done, remove from the griddle and serve it with chutney. With the benefits of including millets, there are a number of innovative dishes you can make. Normally you can use millets in the place where rice is used. Anyway as a caution, you should eat millets in moderation. You could try with eating it once a week and slowly increasing the frequency. The body needs to get adjusted to the new food and it could take time.